Nicolo Maria Calcavechia, Ofer Biran, Erez Hadad, and Yosef Moatti  discussed different strategies of placing Virtual Machines for Clouds. 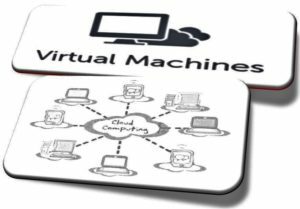 Although there has been lot of research done on the problem of placing Virtual Machine in cloud infrastructure but the dynamic nature of incoming stream of virtual machine deployment stream has been ignored. A practical model of cloud management system under stream of requests has been discussed in this paper. Moreover, an innovative technique named Backward Speculative Placement is also debated. BSP technique is discussed in two algorithms. Handling the stream of deployment requests and periodic optimization are two aspects of BSP technique which are thoroughly discussed in this paper. Authors have used generic MIP solver to compare the results, which shows the benefits of BSP technique. In short, authors have monitored historical demand traces of deployed VMs and BSP projects, and found VMS correlation aspect in most efficient way. Minder Chen, and Yiching Liou  have discussed various virtualization techniques and their benefits. Authors have also identified and discussed various impacts of virtualization on IT industry. ITIL, an Information Technology standard, has been used to analyze virtualization technologies and to assess impacts of virtualization on IT industry. Authors have concluded virtualization will result in improved IT infrastructures and improved IT services. It will also help IT companies in reducing their costs and expenditures. Moreover, advanced and improved IT services are also identified as impacts of virtualization. It can be concluded from report that virtualization will result in improvement of IT infrastructure and creation of new advanced dynamic IT infrastructures. Yashpalnish Jadeja, and Kirit Modi  have discussed cloud computing and challenges to cloud computing. Landmarks in IT history such as parallel computing to distributive computing to grid computing and now most recent cloud computing have been briefly discussed. Authors have thoroughly discussed the concepts of Cloud Computing. A different narrative regarding the definition of cloud computing is visible in this paper. Moving forward, authors have discussed the architecture of cloud computing. Advantages of cloud computing are precisely identified. Moreover, the challenges to cloud computing has also been discussed. Different advantages of cloud computing such as cost efficiency, uninterrupted services, easy management, and green computing are also discussed. In the end, authors have put light on issues with cloud computing. In short, this paper authors have discussed the basic concepts of cloud computing, its architecture and challenges to cloud computing. Kangkang Li, Huanyang Zheng, and Jie Wu  have debated the concept of migration-based virtual machine placement in cloud systems. Authors have started with defining the basic concept of cloud computing. Moving forward, they have discussed the working time of physical and virtual machines. The research of authors is based on how to decrease the total job completion time of input virtual machine request through a proper virtual machine channel. Authors have proposed an offline virtual machine placement method through emulated VM migration. The migration algorithm is taken as heuristic approach. Moreover, hybrid scheme where a batch is engaged to accept upcoming virtual machines is also studied and discussed in this paper. Malhotra, D. Agarwal, and A. Jaiswal  has discussed Virtualization in Cloud Computing. This papers starts with basic introduction, definition and history of cloud computing. Moving forward, the concept of virtualization is thoroughly discussed. Architecture of virtualized technology has also been debated and thoroughly explained. Moreover, basic concepts like virtual servers, types of virtualization, benefits of virtualization technologies, and benefits of cloud computing are also discussed. In the end, future scope of virtualization and cloud computing, and challenges to cloud computing are discussed. Authors have methodically discussed different challenges to cloud computing such as infected application, mass data loss, and data integrity are discussed. Peter Mell, and Timothy Grance  gave a comprehensive and thorough definition of Cloud Computing which covers important aspects of Cloud Computing. Authors have discussed essential characteristics and service models of cloud computing. Moreover, they’ve also discussed deployment models such as private cloud, public cloud, community cloud and hybrid cloud. PD Patel, Miren Karamta, M.D. Bhavasar, and M.B. Potdar  have discussed migration techniques in cloud computing. Authors have discussed the process of live migration. Furthermore, they’ve included a detailed survey on live migration of virtual machines in cloud computing. Authors have covered different migration categories such as Load Balancing Migration Techniques, Fault Tolerating Migration Techniques, and Energy Efficient Migration Techniques. Moreover, performance metrics are also discussed. A thorough analysis on live virtual machine migration in cloud is also given. In the end, authors have discussed different challenges and issues. R.M. Sharma  has given a different narrative regarding impacts of virtualization in cloud computing in his paper. Author has discussed basic idea regarding cloud computing, virtualization, and their interconnectedness. Paper describes the impacts of virtualization in cloud computing. Paper also gives the idea about architecture of virtualization and levels of abstraction. Author has also presented different advantages of virtualization. These advantages include maximization of resources, flexibility, availability, scalability, hardware utilization and improved security. Author has also differentiated between traditional server and virtual server. It also gives brief idea about popular cloud services. It can be briefly concluded that this paper gives detailed information regarding different aspects of virtualization. Yuping Xing and Yongzhao Zhan  have wrote about virtualization and cloud computing. They have discussed the general ideas regarding both virtualization and cloud computing. Moving forward, they have discussed different challenges and issues with cloud computing. Paper analyzes the issues and give possible solution to these solutions. R Suchitra et al. 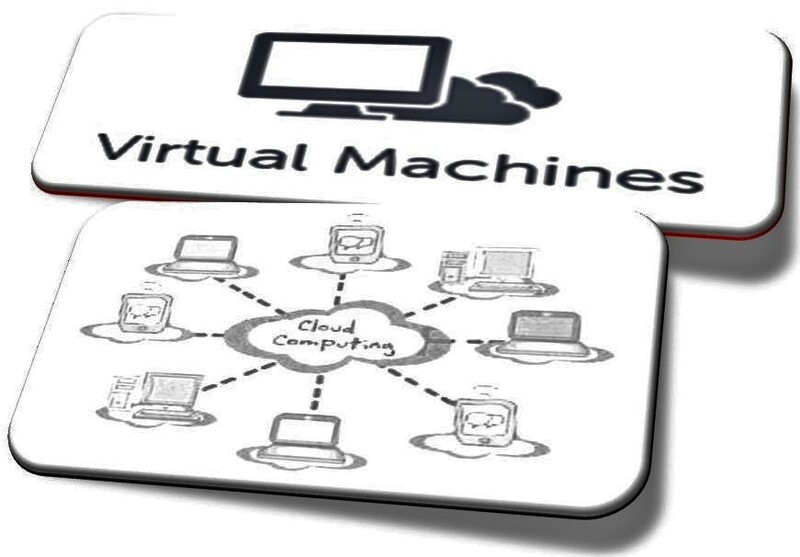 have presented a technique to place a virtual machine in a virtual cloud. Server consolidation technique is used to decrease number of physical servers. Authors have discussed how this technique is helpful in reducing costs and energy conservation. Consolidation approach requires efficient migration of VMs. Unfortunately, migration of virtual machines is a costly process which make it complicated to place virtual machine efficiently. Authors have used the idea of bin packed algorithm to propose an effective virtual machine placement algorithm. Authors have used multiple test cases to verify the feasibility of algorithm. Their research shows that their proposed algorithm minimizes the required number of needed virtual machine migration. In short, authors have proposed an algorithm which can be used to achieve efficient virtual machine placement in cloud environment. Shilpa et al. did a survey on load balancing in cloud computing. Authors have selected various new load balancing techniques and presented a comprehensive analysis. The motivation of this survey is to encourage amateur research towards more efficient algorithm of load balancing. Authors have discussed a cloud model and they presented a thorough debate on load balancing. Several challenges to load balancing such as virtual machine migration, energy management, stored data management, automated service provisioning are discussed. Moving forward, different categories of load balancing algorithm are discussed. Authors have included different surveys in the literature on load balancing and tried to differentiate between them. They have presented detailed information of these surveys. Briefly we can conclude that this paper presents basic concepts of cloud computing along with the challenges in load balancing. Xiong et al. wrote paper on selection of virtual machine and its placement for dynamic consolidation in cloud computing environment. Authors have discussed that dynamic consolidation is an effective way to decrease energy consumption and improve physical source utilization. Authors have discussed how different scenarios can cause the violence of service level of agreement delivered by service providers and users. To cater this issue, authors have proposed considering CPU utilization and also defining a variable which represents degree of resource satisfaction in selecting virtual machines. Authors have also presented a novel virtual machine placement policy. It suggests that a host which has minimum correlation coefficient will be preferred to place a virtual machine. Authors have used CloudSim to run simulations. Results of these simulations shows that technique proposed by authors have better outcomes then existing techniques. The technique proposed by authors is better in terms of virtual machine migration time, service level of agreement violation and energy consumption. Authors have presented an effective approach for dynamic consolidation in cloud computing environment and their approach is supported by data collected using CloudSim simulations. Kono et al. wrote paper which provides a guideline for selecting live migration policies and implementation in clouds. Live migration approach is extensively used for maintaining cloud platforms. Authors have recognized that live migration can cause performance inferences on cloud services. They have also highlighted that migration time and downtime are used to measure live migration performance. However, cloud administrators must consider live migration performance inference. It is necessary that cloud administrator selects suitable migration policy. Authors have presented a thorough analysis as a guideline for selecting live migration policies. They have conducted many experiments and compared many migration methods. Their experimental results shows trade-offs of different migration policies. Authors have used these results to present guidelines for cloud administrators. 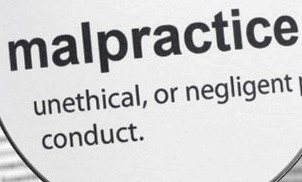 In short, authors have conducted researches to present guidelines for selecting appropriate policies and proper implementation. Mills et al. have wrote this paper to give a comparison of different virtual machine placement algorithms for on demand clouds. In recent times, a lot of VM placement algorithms have been presented and it is difficult for cloud administrators to select appropriate one. Authors have observed that many of these algorithms only address specific issues such as consolidation and initial placement. Moreover, these algorithms are focused on specific VMs and PMs. Authors have proposed an objective method to compare virtual machine placement algorithms in large clouds. Their research covers large number of VMs and PMs. They have used 18 algorithms for comparison. They have compared algorithms inspired by open-source code for infrastructure cloud. So, authors have presented an objective method to compare resource allocation algorithms in simulation of large distributed systems. Authors have also found out small quantitative differences in different algorithms. Peng et al. have wrote this paper on how to improve load balancing in Virtual Machine environment. Load balancing is considered as one of the most challenging issue in cloud computing. It is difficult to balance load while avoiding overloading a subset of machines. Authors have presented an effective load balancing strategy which is based on virtual machine live migration. They have applied a workload adaptive live migration algorithm. This algorithm is helpful in minimizing virtual machine downtime and improving user experience. Authors have found out that their approach is more efficient than previous approaches. Their algorithm is based on these steps: collecting load values on each computational load, determining whether to trigger live migration, checking live migration history and scheduling live migration. Authors have also used workload adaptive migration mechanism to provide minimal downtime for different applications which improves the user experience. In short, this article covers maximum aspects of use of adaptive live migration to improve load balancing in virtual environment. Kukade et al. have presented survey of load balancing and scaling approaches in cloud computing. In cloud computing, scaling is a term referred to ability of providing services without lagging. The cloud system must be designed in such a way that it could adapt to request of customer to increase or decrease resources. This is required to create a balance between cost, effectiveness and performance. Authors have suggested that for scaling the application, we need to increase or decrease the instances of the application. Authors have also found out that physical machines also need to be taken into consideration to increase performance. Moreover, authors have discussed different approaches used for scaling in cloud computing such as horizontal and vertical scaling. Kansaal et al. have discussed cloud load balancing techniques. Load balancing is considered as major challenge in cloud computing. Load balancing is dividing workload on different nodes to ensure that no single node is overwhelmed. Authors have pointed that goal of load balancing is minimizing resource consumption. Authors have also deeply discussed existing load balancing techniques in cloud computing. They have discussed different load balancing techniques such as: decentralized content aware load balancing, server based load balancing for internet distributed services, join idle-queue, scheduling strategy of load balancing on virtual machine, ACCLB, and two phased load balancing algorithm. Authors have presented a table which discuss and compare all these techniques. It gives readers a better idea about which technique to use in specific environment. This report also tell readers which technique is more suitable for green computing. In short, this paper gives details regarding load balancing and different existing load balancing techniques. Tushar et al. have presented survey of different existing load balancing techniques and challenges in cloud computing. Authors have stated that now more people are using cloud computing which demands that better services must be provided. Moreover, better implementation of load balancing techniques is required. There are several challenges to existing load balancing techniques. This paper discuss different existing techniques, challenges to these techniques and their solutions. Authors have started with the basic concepts of cloud computing architecture, virtualization and types of virtualization. Furthermore, authors have discussed load balancing and its types. In the end, authors have discussed challenges for load balancing. They have put light on issues like response time, resource utilization, scalability, migration time and fault tolerant. In short, various load balancing techniques, challenges to these techniques and their solutions are discussed. Clark et al. have wrote this paper on live migration of virtual machines. Authors have started with discussion regarding migration and its advantage. They have found out that migrating operating system is useful for administrators because it helps in clean separation between software and hardware. Moreover, it also helps in load balancing, low level system maintenance and fault management. Paper also shows that live migration can be used to achieve best service with minimal service downtime. Moreover, authors have also discussed design options for migrating OSes running services with live constraints. The concept of writable working set is also analyzed and discussed in detail. Authors have used different experiments which revealed that by integrating live OS migration into Xen virtual machine monitor, rapid movement of workloads within clusters and data centers can be enabled. Agarwal et al. present ideas about live migration of virtual machines in cloud. They have stated that live migration is simply shifting virtual machine from source node to target node. This process is completed without disturbing any active network connections. It is considered live because the original virtual machine is operating while this process is executed. Authors have stated that benefit of live migration is small downtime. Furthermore, authors have discussed the load balancing phenomenon. The basic idea of live migration and why it is used is thoroughly discussed in this paper. Moreover, the five stage process of live migration is also explained. In the last part of this paper, authors have presented benefits of live migration. These benefits include reduction in IT costs, improved flexibility with server consolidation, decrease in downtime, exploitation of resource locality, and simplified system administration. It can be briefly concluded that this paper gives details about live migration, whole process, different challenges with this process and advantages of this process. Calcavecchia, Nicolò Maria, et al. “VM placement strategies for cloud scenarios.” Cloud Computing (CLOUD), 2012 IEEE 5th International Conference on. IEEE, 2012. M. Chen and L. Liou, “Analyzing the Impact of Virtualization on IT Infrastructure Using the ITIL Framework,” Advances in Information Sciences & Service Sciences, vol. 4, pp. 98-106, 2012. Jadeja, Yaju, and Kavan Modi. “Cloud computing-concepts, architecture and challenges.” Computing, Electronics and Electrical Technologies (ICCEET), 2012 International Conference on. IEEE, 2012. L. Malhotra, D. Agarwal, and A. Jaiswal, “VIRTUALIZATION IN CLOUD COMPUTING,” International Journal of Computer Science and Mobile Computing, vol. 3, 2014. Survey.” International Journal of Computer Applications 86.16 (2014). R. Sharma, “The Impact of Virtualization in Cloud Computing” International Journal of Recent Development in Engineering and Technology, vol. 3, 2014. Y. Xing and Y. Zhan, “Virtualization and cloud computing,” in Future Wireless Networks and Information Systems. 1st ed, vol. 1, Ed: Y. Zhang, Springer, 2012, pp. 305-312. Suchitra. R and Dr. N. Rajkumar, “Virtual Machine Placement in Virtualized Cloud” International Journal of Computer Engineering and Technology, vol.3, 2012. Pius. V Shilpa and S. T Shilpa, “Survey on Load Balancing in Cloud Computing” International Conference on Computing, Communication and Energy Systems (ICCCES-2014). FU. Xiong and Z. Chen, “Virtual Machine selection and Placement for dynamic consolidation in Cloud computing environment.” (2015). K. Akane, K. Kenji and Y.Hiroshi, “A Guideline for Selecting Live Migration Policies and Implementation Policies.” IEEE 6th Conference on Cloud Computing Technology and Service (2014). K. Mills, J. Filliben and C. Dabrowoski, “Comparing VM-Algorithms for On-Demand clouds.” Third IEEE Internatinal Conference on Cloud Computing Technology and Series. (2011). L. Peng, B. Antanio, P. Roberto and R. Binoy, “Adaptive Live Migration to improve Load Balancing in Virtual Machine Environment.”(2014). Priyanka P. Kukade and Geetanjali Kali, “Survey of Load Balancing and scaling approaches in cloud.” International Journal of Emerging trends & Technology in Computer Science. (2015). Kansal N. and Chana I. “Cloud Load Balancing Techniques: A Step towards Green Computing.” IJCSI International Journal of Computer Science Issues, Vol. 9, Issue 1. (2012). Desai T. and Prajpati J. “A Survey of Various Load Balancing Techniques And Challenges In Cloud Computing.” INTERNATIONAL JOURNAL OF SCIENTIFIC & TECHNOLOGY RESEARCH VOLUME 2, ISSUE 11. (2013). Clark C., and S. Hansen G. “Live Migration of Virtual Machines.” (2005). Agarwal A., and Raina S. “Live Migration of Virtual Machines in Cloud.” International Journal of Scientific and Research Publications, Volume 2, Issue 6, June 2012.